Skull—a framework of bone or cartilage enclosing the brain of a vertebrate; the skeleton of a person’s or animal’s head. That is its actual meaning. But when you incorporate a skull to art, the words edgy, dark, and death are the usual impressions we hear. 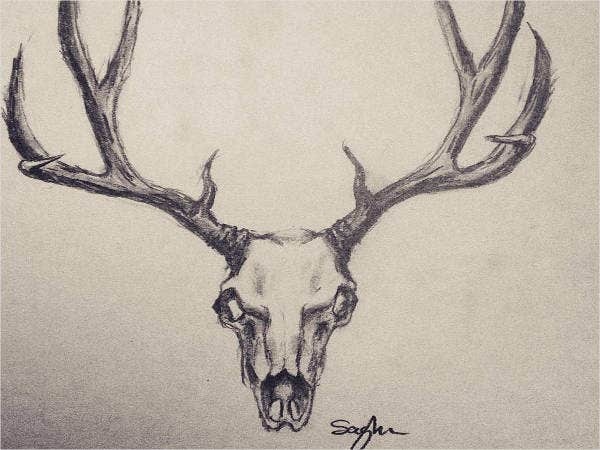 Skull drawings embody masculinity, uniqueness, etc. 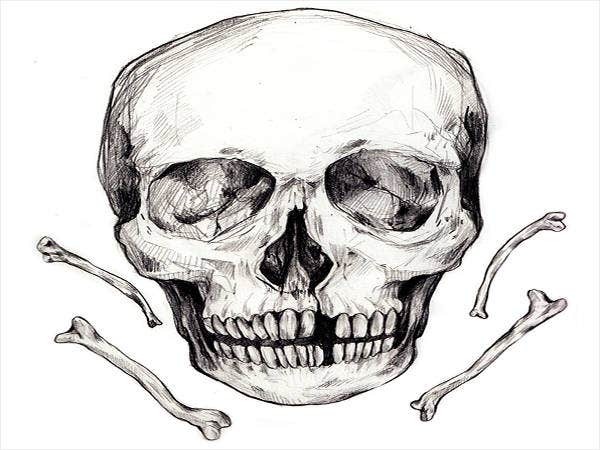 When it comes to expressing skull art, we use software like Adobe Photoshop in PSD, AI, and Vector EPS formats to design electronic artwork; get tattoos; paint; and most come up with pencil drawings. 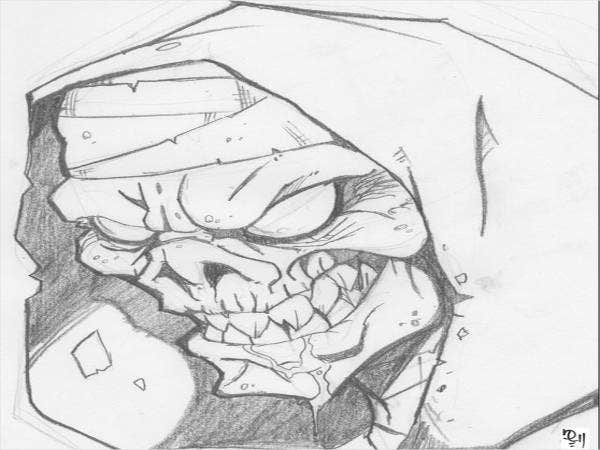 Pencil drawings show the artist’s skill, especially when adding details in terms of shading. 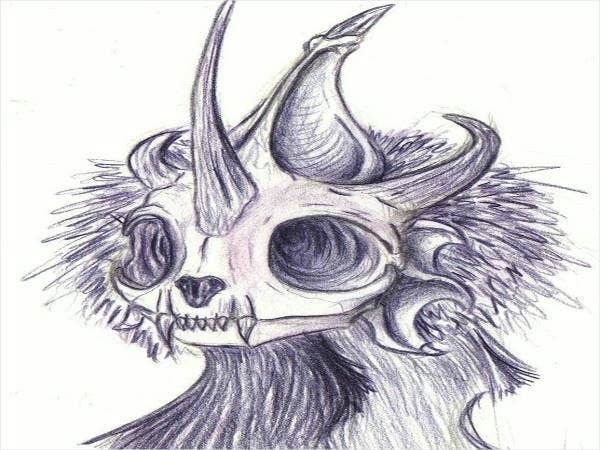 Here are some skull sketches from various artists from around the web. See if you have one that captures your attention. 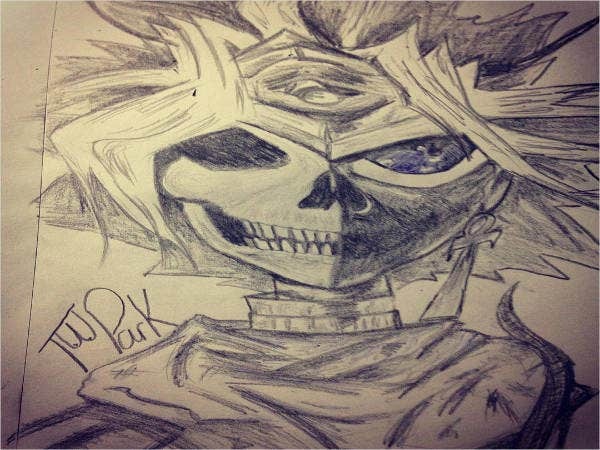 As seen below, this specific artist added some anime hair on the skull, added some accessories, and they even added an expression to it, like it is smiling, showing off anger, and a lot more. 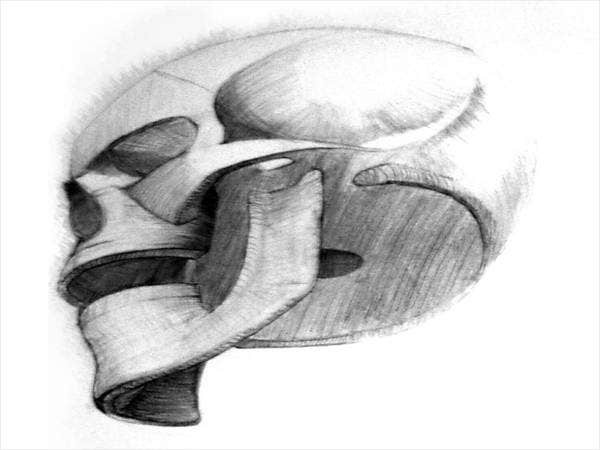 Modern artists tend to add more specific details and stylize skull drawings, as seen in the examples in this article. 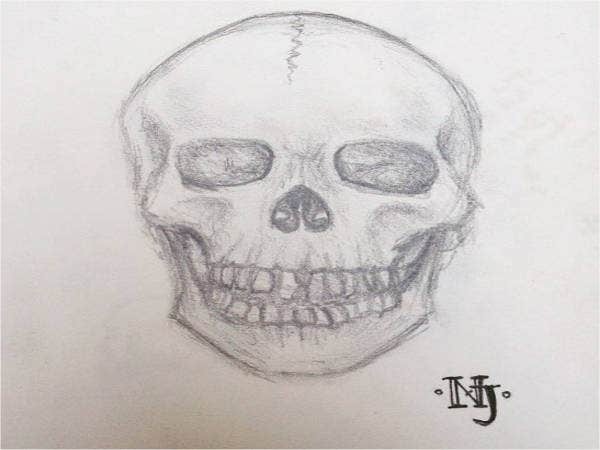 This way, this makes skull drawings more stylistic, adds a little bit of artistry, and imprints the artist’s identity to these drawings at the same time. You see, it is not just a mere object of interest or a subject to artists. There is more to it than meets the eye. 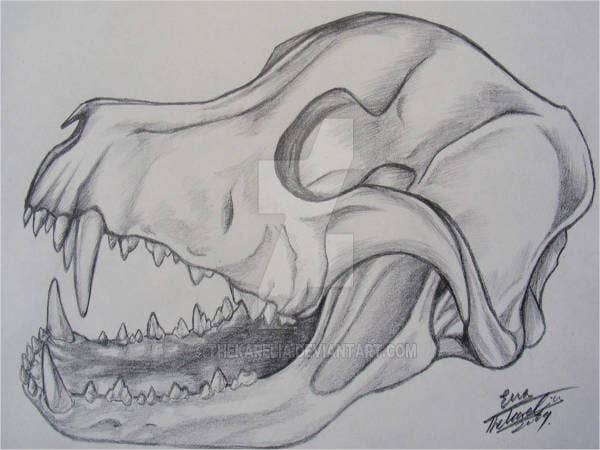 Skull drawings are not limited to humans alone; rather, it also involves skulls of the creatures in this planet. These images are also great for Halloween parties and horror-themed events, or use it as a background design for your related business flyers or advertisements. You can even use it as a logo for your horror-themed brand or company. 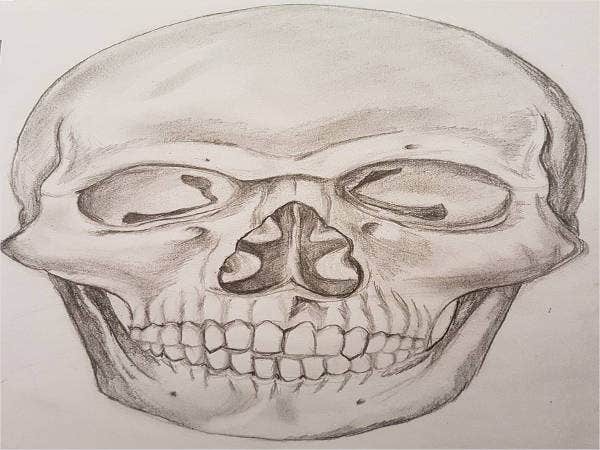 You may download samples in various formats from the skull drawings in this article for your artwork, movie poster, or your corporate events, or use it as a wallpaper, a logo design, or even get a tattoo inspired from these skull drawings. 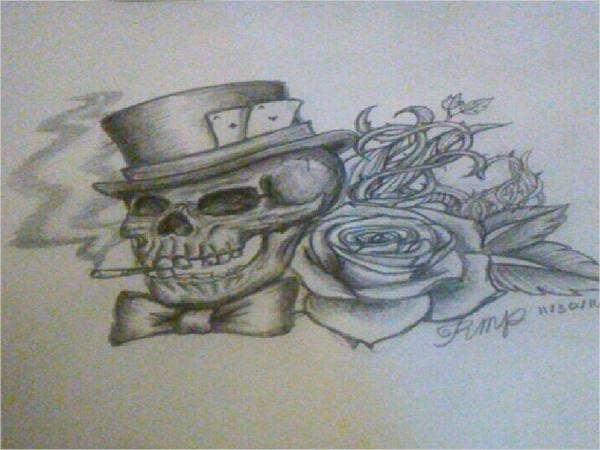 If these drawings captured your interest, check out these tattoo drawings as well. 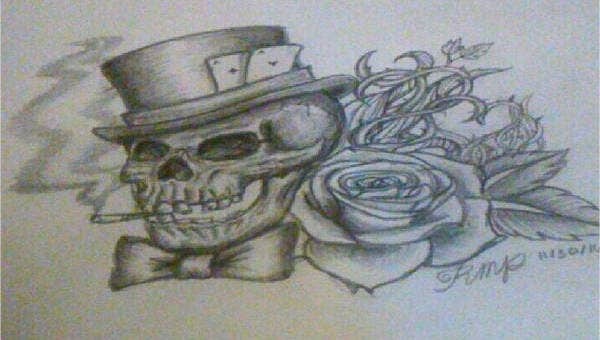 The skull is a perfect example as to what will happen in a couple years after a person’s death. Aside from its uniqueness, it contains a mysticism that captures the heart to those who see it. Whether they are artists or not, some of us can truly appreciate its mystery. Apart from it being an essential part of the human and animal skeletal systems, the skull has its different connections or meanings for various beliefs. It also symbolizes greatness to some culture. In Celtic culture, the head or the skull is viewed as the seat of power. Somehow, it helps to refresh their soul and acquires clear divine intervention. That’s pretty much it, folks! I hope that this page will give you more information and inspire you on your next project—whether for your next event, or even as simple as your website theme, or even as a subject in your artwork, or use it as a symbol to something. Regardless, one cannot deny the fact that some of us are mesmerized by its nature. If you want to check out other sketches, try and check these interesting animal drawings as well. Have fun and enjoy!